Amendments to the Call and the updated Application packages are published on the pro- gramme website. Please note that due to possible amendments, Applicants should check the Programme website regularly.  identify the outputs that will be used by the relevant target groups.  define the tangible outputs (final products, services and solutions). Each project shall be developed according to the original proposal drafted in TAPE. The sub- stantial parts of the projects e.g. the mission, expected results and target groups cannot be modified. Flexible parts e.g. composition of the project partnership, budget, duration or target values of some indicators can be adjusted to the present circumstances.  recommended for approval with conditions. The project can be approved even if other projects within the TAPE were rejected, if the ful- filment of the key output indicators can be ensured by other projects and the loss of the syn- ergic or complementarity effects can be eliminated. b) project can be omitted from the structure if the fulfilment of the key output indicators can be ensured by other project(s) and the loss of the synergic or complementarity ef- fects can be eliminated.  project proposals having no remarkable synergic or complementary relationship with other projects within the TAPE therefore having no direct or indirect effect on em- ployment or labour mobility objectives cannot be supported. Eligible actions serve as guidelines and frame for the proposed projects. Each project shall be developed in line with one of the key or supplementary eligible actions. Actions chosen for the proposed projects can be modified only in case of supplementary ac- tions if the objective of a particular project was not matched correctly to the action. During the second round of the selection procedure Applicants have to respect the maximum ERDF allocation approved by the Monitoring Committee during the first round of the selection procedure and the available total budget predefined for each eligible action in the present Call. The approved ERDF contribution can be freely reallocated between projects or Benefi- ciaries if substantial parts of each project (mission, expected results, target groups) remain ensured. c) a substantial change affecting its nature, objectives or implementation conditions which would result in undermining its original objectives. All projects have to be developed in line with the selected eligible action. Eligible actions serve as guidelines for the project development that determine the scope of objectives, timeframe for the implementation and the size of the total budget as well. In general, key action projects must create new working places or enhance labour mobility directly while pro- jects developed in line with supplementary actions shall support or exceed the efficiency of the key action ones. This means that projects and individual project partnerships shall be created by Beneficiaries with similar or additional objectives. In case this is not possible ap- plicants have to choose the more relevant action with a special care on conditions set for both actions.  improvement of public services in the field of education, health and social services.  Projects developed in line with this action have to directly create new working places at relevant enterprises or institutions.  Activities concerning products of the soil and of stock farming produced by primary agricultural production sector are not supported.  Activities concerning processing of agricultural products are supported in case the fi- nal product is not considered as primary agricultural. The list of agricultural products is set by the Annex I. of the Treaty.  Activities concerning hotel and accommodation services, restaurant and catering ser- vices, direct trade and commercial services (e.g. retail services) are not supported in the frame of this action.  development of accommodation facilities for commuting workers.  All projects have to improve cross-border labour mobility with direct link to projects creating new working places.  Construction of cross-border roads, bridges and infrastructure for ferries with TEN-T relevance not supported. Within this action, projects aiming to renovate and/or modernize specific areas contributing to structural transformation can be supported.  Projects have to contribute to transition of an economy from low productivity and la- bour intensive economic activities to higher productivity and skill intensive activities ensuring new ways or higher level of utilisation.  Specific areas are considered as rust belts, declining industrial zones, poorly main- tained or unused industrial, agricultural or public facilities.  innovative employment projects can be supported.  development of networks to support employment (e.g. IT systems) can be supported.  ensure common use of expert and consultancy services can be supported.  Joint education and training services shall be created in line with training needs of the labour market of the target area. o Beneficiary maintains training activities at least for five years after the reim- bursement of the last payment.  carrying out communication tasks for each project.  they have not attempted to obtain confidential information or to influence the Monitor- ing Committee or the MA/NA/JS during the assessment process of the current or a previous Call. In the present Call small and medium enterprises are eligible since new working places shall be primarily created in the private sector. In general, SMEs shall be able to use financial as- sistance for economic growth, for the expansion of their business activities and financial effi- ciency and to employ more citizens living in the target area. The Programme aims to support enterprises which have relevant experience in their profile, stable service or product portfolio and balanced financial history. Enterprises can be eligible if the following criteria regarding their financial background are fulfilled at once. Enterprises have to be active on the market at least in the last two fiscal years (2017, 2016). If any action of the TAPE requires the foundation of a new enterprise stakeholders may found a new enterprise for the project purposes in duly justified cases until the submission deadline of the present Call. Enterprises cannot have any public debts at the time of submission of the Application form neither option for instalment payment of public debts. Enterprises must have positive equity in the last fiscal year not less than the lowest amount of the prescribed capital stock. Each SME Beneficiary has to prepare and submit a business plan for the implementation phase and the following 3 years of sustainability period according to the guidelines intro- duced in the Application package. For more information please see the document “General guidelines for developing a business plan”.  they are subject to a conflict of interests connected to their participation in the present Call. Any entity engaged in an economic activity is considered to be an enterprise irrespective of its legal form and the way in which it is financed. In other words, any organisation producing products or services to satisfy market needs in order to reach profit shall be considered as an enterprise. Legal forms of the enterprises may be various. This includes in particular, self- employed persons and family businesses engaged in craft or other activities and partner- ships or associations regularly engaged in an economic activity. In the present call only en- terprises falling into the category of small and medium-sized enterprises [SMEs] stipulated in Annex (1) of the regulation 651/2014/EU can be supported. The main factors determining whether an enterprise is an SME are the staff headcount and either turnover or balance sheet total. The data to apply to the headcount of staff and the financial amounts are those relating to the latest approved accounting period and calculated on an annual basis. They are taken into account from the date of closure of the accounts. The amount selected for the turnover is calculated excluding value added tax (VAT) and oth- er indirect taxes. The category of medium-sized enterprises is made up of enterprises which employ fewer than 250 persons and which have an annual turnover not exceeding EUR 50 million, and/or an annual balance sheet total does not exceed EUR 43 million. Small enterprise is defined as an enterprise which employs fewer than 50 persons and whose annual turnover and/or annual balance sheet total does not exceed EUR 10 million. Micro-enterprise is defined as an enterprise which employs fewer than 10 persons and whose annual turnover and/or annual balance sheet total does not exceed EUR 2 million. Individual entrepreneurs are considered as micro enterprises.  outsiders do not have a stake of 25% or more of the capital or voting rights (whichev- er is the higher) in it.  Public investment corporations, venture capital companies and business angels.  Universities and non-profit research centres.  Institutional investors, including regional development funds. In case the enterprise can be considered as partner or linked enterprise the data to apply to the headcount of staff and the financial amounts should be aggregated according to Article 6 of Annex I of the 651/2014/EU regulation. For more information please see the document “The new SME definition - User guide and model declaration”. Beneficiaries shall be experienced and their profile shall be in line with the role and activities described in the project. Project partnerships shall be composed of Beneficiaries that are linked professionally to the project and may have major contribution and impact within the partnership. The partnership should include organisations that are relevant for dealing with the common challenge or capitalizing on the joint asset identified by the project. Beneficiaries having no clear contribution to project objectives within the project partnership will be with- drawn from the partnership. 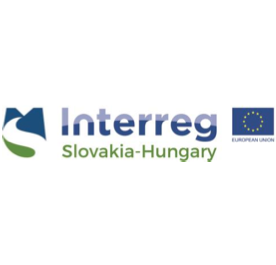 The minimum requirement for the project partnership is to have at least one Slovak and one Hungarian partner. In line with the Article 12 (3) Regulation No 1299/2013 of the Council and the European Parliament this requirement is automatically fulfilled by the organisations oper- ated in the form of European Groupings of Territorial Cooperation type of legal bodies. The maximum limit for the project partnership is six Beneficiaries and four associated partners. Enterprises cooperating under a single project should be autonomous enterprises from each other. The criterion is fulfilled if the project idea is jointly developed by the Beneficiaries. The criterion is fulfilled if activities, outputs and results are jointly carried out and each Bene- ficiary is responsible for at least one core activity. The criterion is fulfilled if each Beneficiary has internal management staff that are jointly re- sponsible for the project implementation. The criterion is fulfilled if at least 5% of project budget is used at each Beneficiary. The Joint development and Joint implementation are obligatory for all projects; the third crite- ria to be fulfilled can be either cooperation in the staffing and/or in the financing of the pro- ject.  submission of Follow-up reports after the closure of the project. The minimum setup of the partnership is that the Lead Beneficiary has at least one cross- border partner which has its seat in the other country. In case there is more than one partner with registered seat in Slovakia, Slovak partners shall appoint one organization among them- selves as Main cross-border beneficiary. The role of the Main cross-border beneficiary is to conclude the National co-financing contract on behalf of all Slovak beneficiaries. Beneficiaries not willing to be engaged financially in the Programme may act as associated partners receiving no direct financial support. Associated partners basically participate as professional guarantee or observers who are benefitting indirectly from the project results. Despite no direct financial assistance Associated partners may also contribute to the fulfil- ment of the relevant indicators. Please note that final starting dates will be set during the contracting procedure. Please note that the Joint Secretariat may decrease the project durations all along the as- sessment or contracting procedure if the timeframe of the project activities are overestimat- ed. a) In case of projects starting before 1st of August 2019 the contracting procedure starts parallel to the project implementation. Specific annexes shall be ready until the pro- ject starting date at the latest. b) In case of projects starting after 31st of July 2019 the contracting procedure starts 4 months before the indicated starting date of the project. Specific annexes shall be ready 4 month before the project starting date at the latest. Institutions that are not allowed to start project implementation without the signed Subsidy contract shall set the starting date after 31st of July 2019. Please note that Managing Authori- ty may cancel the contracting procedure and withdraw from the Subsidy Contract if the Bene- ficiary is not able to submit mandatory annexes until the given deadline. Please see the following graphics for examples.